It’s a Mindset… (I used to think… but now I think…) Not a System. So, if you’re like me, you may be wondering about scheduling, the state of education today and the dynamic of teaching and learning, changing the face/spirit of the United States Men’s National Soccer Team, the role that adolescents and their complicated psyches play in learning, and the one-room school house? You see all of these as interconnected —it going something a little like this. If I want to change Men’s Soccer, I need to change the way teaching happens in the U.S. of A. In order for our National Team to compete technically, we need to first teach our teams of individuals how to collaborate mentally and emotionally; essentially, more matters of mind, heart, and spirit need to be addressed in education. So, are you confused or lost yet? I invite you to take a look at the Ten Common Principles of the Coalition of Essential Schools and ask yourself if we practiced a little more of these ten mindsets and habits, would our democracy be better. Could we realistically do away with the ranking, the class-selection by ability, and the bullying if we practiced a little more love and listening in our schools? 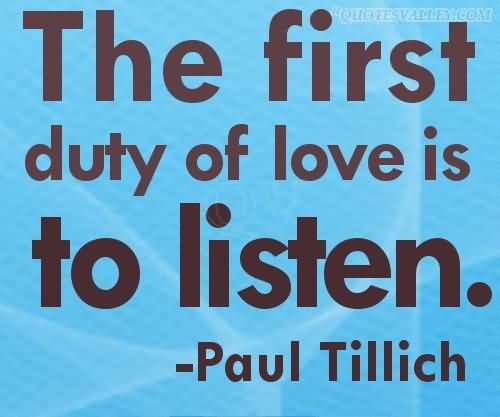 Would this love and listening have a correlation with our soccer team playing better together as a team, if our soccer team was made up of individuals who all attended a school where “love and listening” and these Ten Principles were the norm? Are you calling me a madman yet? Suffice it to say, I am an idealist, and as an idealist, I know my lofty ideas can sometimes get in the way of more practical and sometimes urgent matters. But being an idealist does not mean I am aloof; it does not mean I am negligent of what is going on around me. In actuality, it is the opposite; I am fully aware of what is happening educationally and athletically to and with my growing and developing soccer-scholars, enough to warrant something needs to change. At the same time, I know and understand one magic bullet can solve, what I see to be, this crisis in education, so I look to blogging to express my frustrations, misunderstandings, and rendering of what I want, and what I think needs, to happen. This blog will be an exploration of that question in the first paragraph. The results are unknown yet the journey is worth taking. My colleagues and I recently meet last week to discuss and create a schedule. What ensued was a madhouse of chirping, and I did not have time to stop and think. Here we were trying to come up with a schedule and we were not starting off with our dreams and hopes. To say the least, we were getting ahead of ourselves. Let’s put this there, and that class there. Let’s split the classes by ability. Though I did not have the words to say it at the time, I wanted to scoff and refute this idea; however, I was in too much of a state of shock. How could we create a schedule that did not first address or honor our students? How could we create a schedule that did not take into account our essential questions on teaching and learning. I did not have these questions in mind yet, so I went home over the weekend and generated these questions, inspired by TEDx talks, Deborah Meier, John Seely Brown, Howard Gardner, Mihaly Csikszentmihalyi, William Damon, Theodore Sizer, and my own experience as a teacher-leader-collaborator. Can graduates of this high school teach themselves? And how will the schedule reflect that? How will we make the schedule so that differentiated instruction is honored? How does our schedule address/observe the ways (how/why) we, as adolescents, learn? How does our schedule address/observe the habits of mind and heart in adolescent learning? See more detail about “Tone of Decency and Trust” Here. How do we structure the school so that learners are learning from learners? How can we optimize and maximize resources and the schedule for learners to teach learners? How do we honor the importance of making/tinkering with learning as an entire school? How do we honor the importance of tinkering in our schedule? Is the schedule a fixed schedule? How are we going to scale our learning system so that learning independently and collaboratively is the norm? What social practices and institutional structures are most important in generating this new learning scape? What kinds of permission do we give our students? What kinds of permission are required in order to achieve our mission and philosophy? Is the one-room schoolhouse possible? “Adolescents… like all of humankind, are complicated. They come in all sizes and shapes. There are good ones and bad ones, saints and liars, bores and inspirers, quick ones and dullards, gentle ones and brutes. Besides their age, they have in common the vulnerability that comes from inexperience and a social status bordering on limbo. They are children, but they are adult, too…. Schools should be designed to follow our conceptions of adolescence: one starts with the students” (32-33). He then later says, “We should expect them to learn more while being taught less” (34). I see these quotes as connected. We must create a schedule that balances the two notions: “Less is More” and Our Conceptions of Adolescents. The scheduling of the schedule needs to be non-threatening yet expect much from the students. To answer one of my previous worries about ability-based class-making and scheduling, I know from experience that in English class, each class, each individual in each class, their education is determined not by the curriculum but by the people with whom they share their learning. In English class, this is crucial, and I cannot, as a “Love and Listening” English professor, champion an ability-based school. Learning is communal and it is independent, it is community-based and intrinsically motivated; therefore, let the argument about ability-based classes continue, I will teach “Love and Listening” through literature and writing. Each one during class will be responsible for illustrating and sharing his knowledge. I have a very fundamental definition of school. School is a place for learning. Today in grammar mini-lesson, seven students explored together a common problem: subject-verb agreement. I explained that I would not supply them the rules for figuring out the answer until they struggled and work together as a class. I told them I welcomed dissension; in fact, this is where each-one-teach-one would occur. Each of them took turns (this happened naturally as created by them, and they went around in a circle without me having to directly address this, and for this I am proud) going up to the Smart Board to circle an answer. They had to all agree in order for them to move on. If they did not agree, they needed to discuss their confusions. Some may argue that as their teacher, your role is simply that: to teach them. To get them through class, to help them pass, to get them to high school, or to college. This angers me. Taking “coaching” out of “teaching” or taking “teachable moments” out of English class would be like taking Baseball out of America’s pastime, or taking a bulb out of a lamp. Though the lesson was about grammar and understanding subject-verb agreement for sentences containing “Either…or,” “Neither…nor,” and “Both…and” and also including subject-verb agreement for Indefinite Pronouns (see S-A-N-E—B-O-T… ask me and I’ll tell you), the undercurrent of the lesson was about collaboration, embracing mistakes, and building confidence. There was one time during the lesson where I knew everyone was wrong, but I wanted to see if anyone felt or knew the right answer before I chimed in. One student did disagree but immediately changed his opinion because he noticed he was the only one disagreeing. Though he was right for disagreeing, the real issue is his conformity. I used this opportunity to talk about this issue with the students. I wanted to know what they thought of this habit. Some interesting stuff came out. Creating the schedule with my colleagues has caused me to go back to our philosophy and mission of the school. One quick glance, a person might not notice some conflicting philosophical stances, yet part of a democracy and of growing up is being able to hold two conflicting ideas in oneself in a balanced way. Creating this schedule caused me to go back and look at the “Portrait of a Graduate” we envisioned as a team. I wanted to shake ourselves into remembering these ideas as tenets, and not just as quota. These are not just results we’re aiming for; these are habits we’re exercising everyday. I think it would be a good idea in our school for us to think.pair.share. about a time we saw ourselves and one of our peers exhibit one or two of these tenets. It’s a friendly reminder that we are on our way, together. I came home from that meeting feeling full of emotion. I drew up a schedule that I felt honored my understanding of what needs to happen for our adolescents to learn. Was it perfect? Absolutely not. But that’s not the point. The point is that my attempt was an essay in collaboration. Was I attached to it? For a short time, afterwards, yes. Did I receive dissension about it? Of course. From this schedule-making practice and this blog, I have noticed that I have a tendency and preference for being good rather than being right. Others have the opposite. I don’t need to be right. I need to be decent. I need to be democratic. Being democratic means having the decency to admit you’re wrong. Categories: Uncategorized | Tags: Coalition of Essential Schools, Collaboration, Experience, Love and Listening, Schedules | Permalink.